I noticed the similar shape of two long-time residents of my junk pile and decided to bring them together. 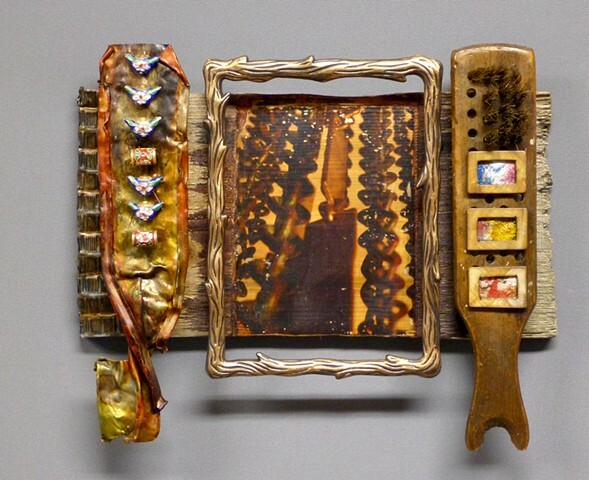 An image of hanging chains was transferred to weathered wood, a frame was attached and the "shapes" were added on either side (a twisted piece of chrome and a scrub brush). Happy together.